RARE ! 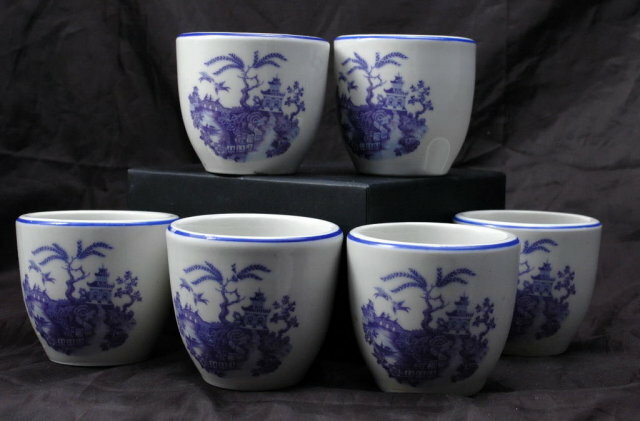 SET OF SIX HALL CHINA PORCELAIN CHINESE BLUE WILLOW TEA CUP. 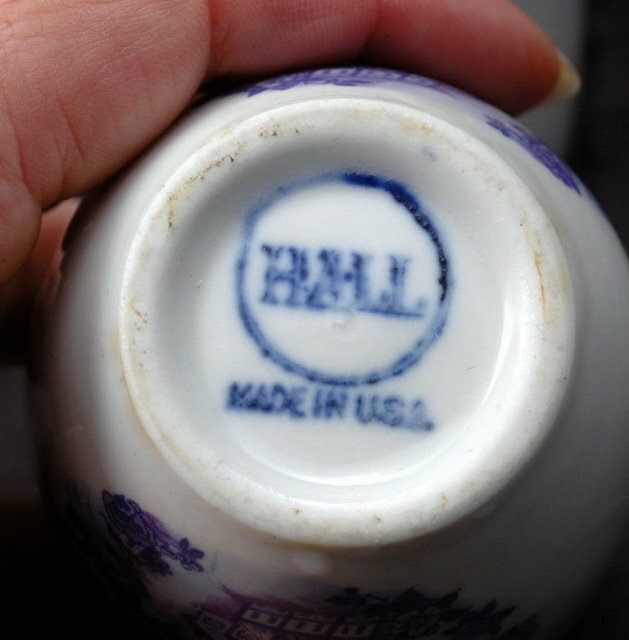 THEY ARE THE TYPE WITHOUT HANDLES. 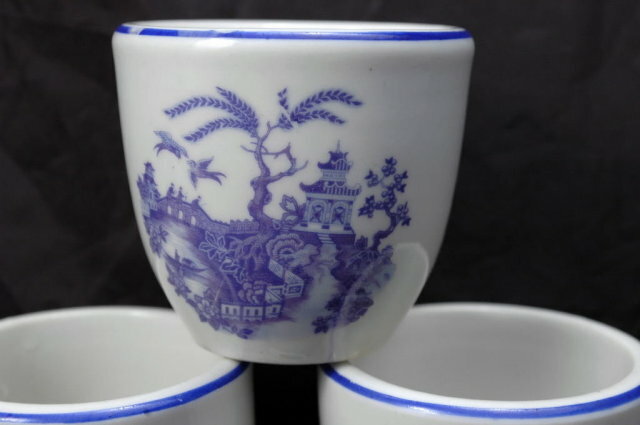 MEASURES 2 3/8" TALL X 3" IN DIAMETER THE CONDITION IS VERY GOOD TO EXCELLENT. 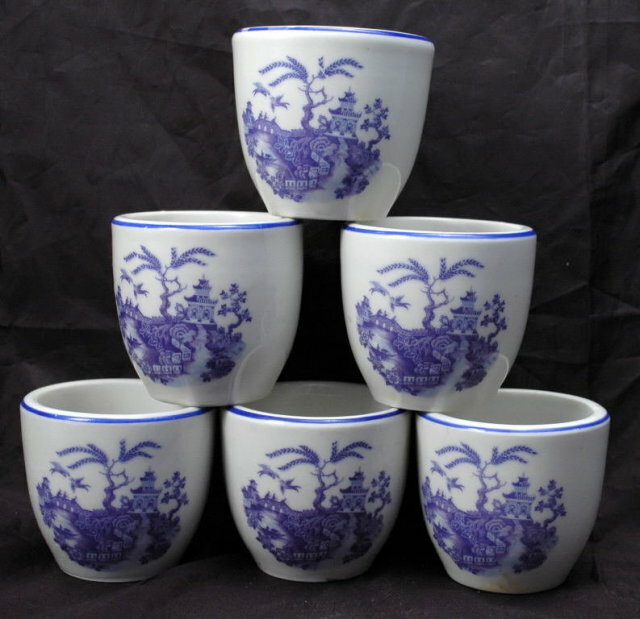 Items Similar To "Set of Six Hall China Chinese Blue Willow Tea Cups"